There is so much going on right now in your newly engaged life and you think “Should I start a registry? What do I put on it?” Well, I’m here to help! This Planning Tip List is all about your wedding registry! Set up your wedding registry as soon as possible. It gives you a lot of time to add and remove items. Also, if someone wants to buy you an engagement gift you have a list of things already created! Find a pre-made list online (like this one from Realsimple.com or this printable version from mywedding.com) and make it your own. Add things to it and remove things from it. Talk about what color schemes you want to go with for the bathroom, bedroom, kitchen, etc and write it down. Go to stores on a day that neither of you have any time constraints. Plan to go a bit earlier in the evening to beat the crowds and go to dinner after. Include your registry information EVERYWHERE. Have a wedding website? Include the information there and try to link it to your registry page. Sending invitations? Include your information on your invitations or consider including a small card that includes the information needed (I love these from paperstyle.com). If you both like to camp, consider registering at a place like REI. Register for anything and everything you may want! You can always take it back if you find that you ended up with 3 blenders and no hand towels. Ask people what has been useful for them and what hasn’t. What they have actually used from their registries and what they wish they hadn’t included. Not everyone includes a gift receipt with their gift. You may not be able to take it back to the store. When you get home, check the quantity you’ve added in-store. Sometimes the registry gun doesn’t work perfectly and you’ll need more than one towel for the whole house! Also, think about the sets of items you register for. Both of those sets of 25 cups might be cute but do you really need 50 glass cups? Probably not. Don’t take your registry down immediately following the wedding: instead, wait a couple months in case guests send gifts after the big day and for the completion perks. 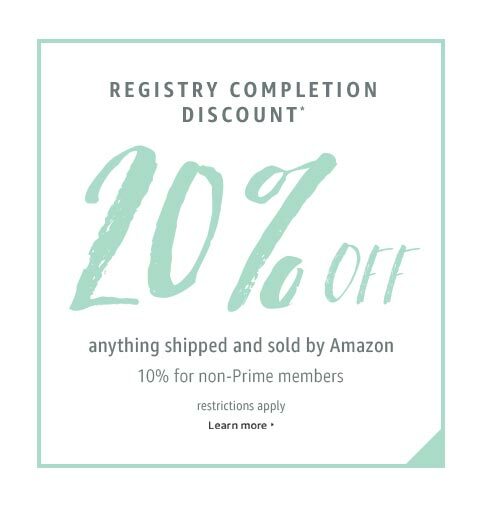 After your wedding, most stores will send you a “buy things off of your registry and get 20% off” coupon so you can buy those things yourself that you didn’t get or needed. Are there any tips you would add to the list or any lists that you think we should make? I would love to hear them! Add a comment below!! Did you see our other Tip lists? You should check them out! Find more planning tip lists here!